LASIK and its variants, including Contoura Vision, SMILE and Femtosecond LASIK are the most popular refractive eye surgeries, for removal of glasses, and are all available at the Eye 7 hospitals. However, for those who look for options other than corneal based procedures, there are Implantable Collamer Lenses or simply ICLs. ICLs have actually opened up new vistas in refractive surgeries and provide a safe and effective option not only for correcting myopia but also for astigmatism, even in patients not eligible for LASIK. Implantable Collamer Lenses, also known as Phakic Intra Ocular Lenses (IOLs) offer permanent vision correction. They can be considered a hybrid between Contact Lenses and Intraocular Lenses (IOLs). They cannot be seen by the naked eye, and are implanted inside the eye between the iris and the natural lens. However, unlike an IOL, they do not need removal of the natural lens of the eye. Eye 7 hospitals almost exclusively use the EVO Visian ICL, manufactured by STAAR Surgical, Switzerland, which is customized to the unique refractive error of the patient and can also correct astigmatism. What are the advantages of EVO Visian ICL over other ICLs? The EVO Visian ICL is made of patented, biocompatible polymer material called Collamer which also absorbs the harmful UV rays. 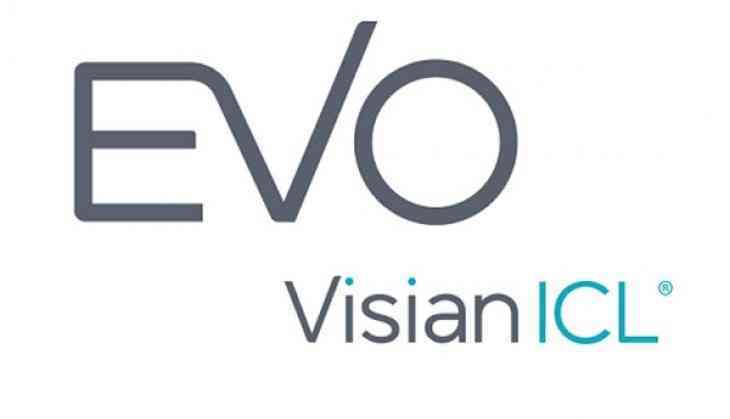 EVO Visian ICLs can be used to correct myopia from -3.0D to -18.0D. The toric version can be used to correct astigmatism up to 6D also. In fact, EVO Visian ICL is the only ICL that rests behind the iris to be FDA approved. It has been approved for implantation in Europe since 1997 and in the US since 2005, which means there is a wealth of experience in its use. More than 785,000 eyes have been implanted with EVO Visian ICLs and it has a proven safety record of more than 20 years around the world. Currently, it is approved and used extensively in more than 75 countries and was the first phakic IOL to be approved for use in India. Dr. Sanjay Chaudhary, the founder director of Eye 7 group of hospitals has been a pioneer in the field of ICLs and has the distinction of having implanted the maximum number of EVO Visian ICLs in India, over the last five years, with excellent results with excellent long-term outcomes for thousands of patients. He has been honored with the highest number of ICLs implanted in India for the year 2015, 2016, 2017 and 2018.
o Large optic which may be better for young patients and large mesopic pupils: The EVO Visian ICL has an expanded optic diameter, which means it is better suited for patients with larger pupils. This is especially beneficial for younger patients. The large surface of full correction of refractive error with optimal quality may benefit young patients or those with larger pupils at night. In real life, this would mean fewer visual disturbances like glare and difficulty in night time driving. In addition to these advantages of the EVO Visian ICL design, EVO, of course, comes with all of the following advantages. In real life, what advantage does EVO Visian ICL offer to me? In real life terms, the EVO Visian ICL comes with a long-term safety profile spanning over 20 years. You can go ahead with the surgery knowing 780,000 eyes have received the same EVO with wonderful results. This is why, we at Eye 7, have limited our practice almost exclusively to EVO Visian ICL. It has been approved by the US FDA which is further assertion of its safety and efficacy.